Is your dental office or oral surgery center infection control compliant? Today, dental offices and oral surgery centers across the United States are coming under closer scrutiny after it was revealed that an Oklahoma dentist potentially exposed thousands of patients to bloodborne pathogens due to the unsafe practices performed in his oral surgery practice. The publicity from this incident has revealed more cases around the country that have the public questioning infection control standards in dental offices and oral surgery centers. With the public growing more fearful and government agencies responding to the pressure, it is now more important than ever that dental offices infection control meet and exceed standards. This is where Infection Control Consulting Services can help. 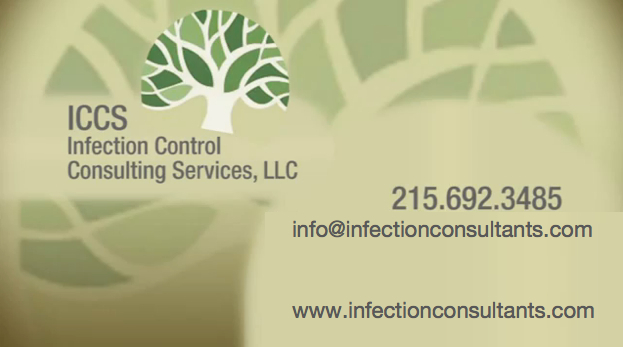 What does Infection Control Consulting Services offer? Infection Control Consulting Services (ICCS), offers professional, top of the line assistance to guide dental offices and oral surgery centers with meeting infection control standards. We provide initial and ongoing services so that dental offices and oral surgery centers can continue to maintain best practices. We are aware that overall, dental offices and oral surgery centers are honest and forthright in their attempts to meet regulatory standards, but many have either overlooked or are simply unaware of infection control issues that if left unchecked could cause potential issues with both the authorities as well as potentially endangering the patients and staff. We offer a number of services designed to help dental offices and oral surgery centers fully comply with local, state and federal standards. Our highly trained, professional staff develop programs that assist dental offices and oral surgery centers with meeting and exceeding infection control standards across the country. ICCS begins the process by conducting an on-site visit to fully evaluate best practices that are in the interest of patients and staff alike. This first-hand evaluation allows us to make a best assessment of the practice, to ensure that it meets the necessary standards as per evidence-based guidelines. We also make observations of the physical plant and interview those working in the dental office to fully understand and evaluate the practices. A full assessment is made from the visit and a written report is presented to the dentists and staff. This is designed to identify any unsafe practices and potential issues that may be in conflict with government standards and potentially put patients and staff at harm. Infection control education is essential to bring all the dentists and staff up to speed when it comes to ensuring best practices and being in compliance with regulatory agencies. This ensures that everyone understands proper procedures, requirements and subsequent development, implementation and maintenance of infection prevention and control programs. Finally, comprehensive recommendations are made to address any present or potential issues to the dentists and staff. Assistance is provided either short term and/or on an ongoing basis to help the dental office or oral surgery center meet and exceed government standards. The emphasis on dental offices infection control services are more important than ever. Taking extra steps ensure that your dental office or oral surgery center is meeting government standards and increasing your ability to conduct business effectively and safely for the benefit of staff and patients. Thanks Sam and Arnold for your input... a number of dentists have recently been cited for not following CDC guidelines. Dentists, hygienists, and assistants are responsible for following the prevailing standard of care and need to take the appropriate steps to ensure the safety of patients. This has been the issue at the heart of infection control incidents that have made the national news recently.